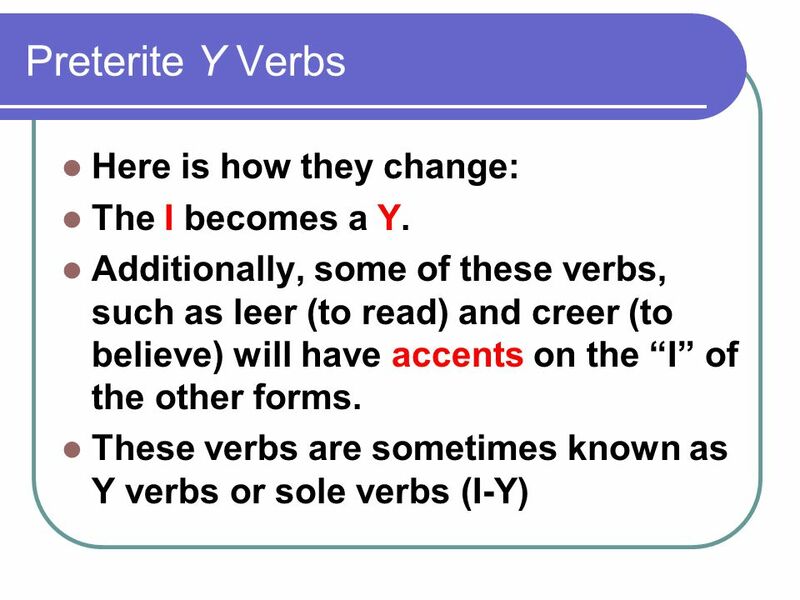 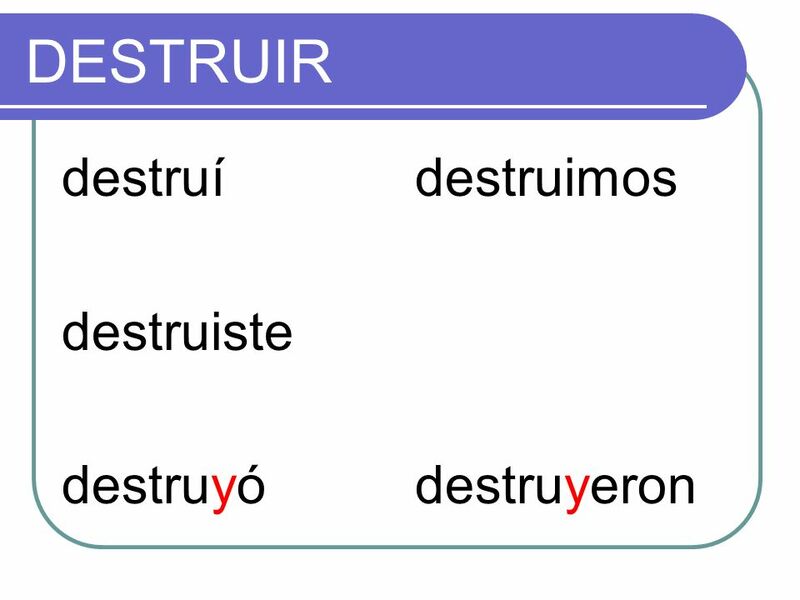 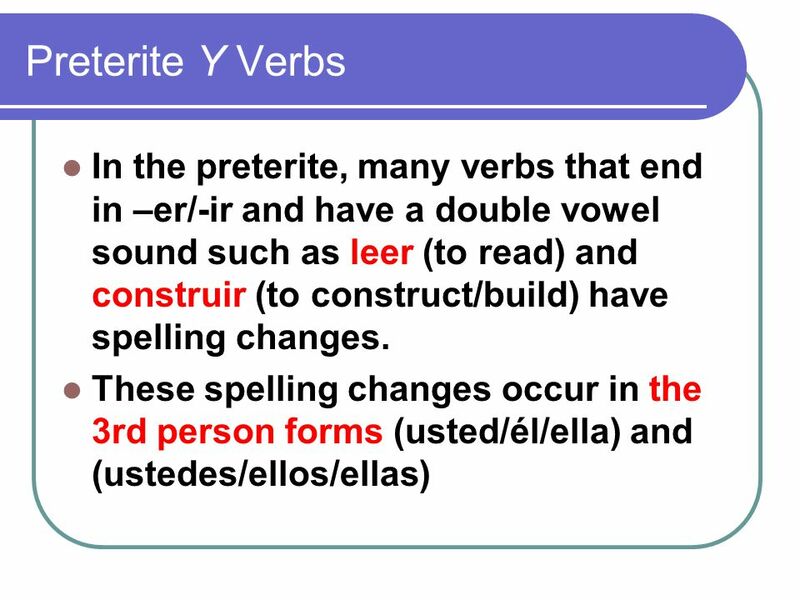 3 Preterite Y Verbs Here is how they change: The I becomes a Y. 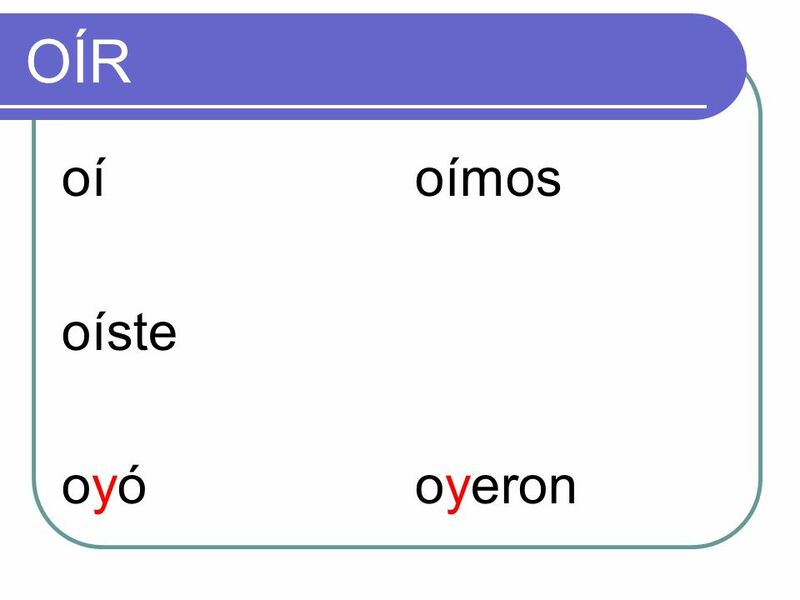 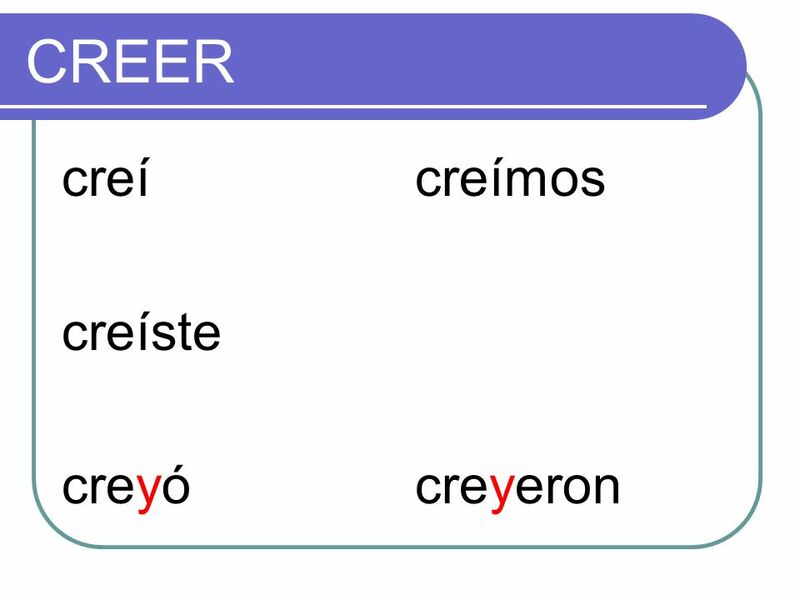 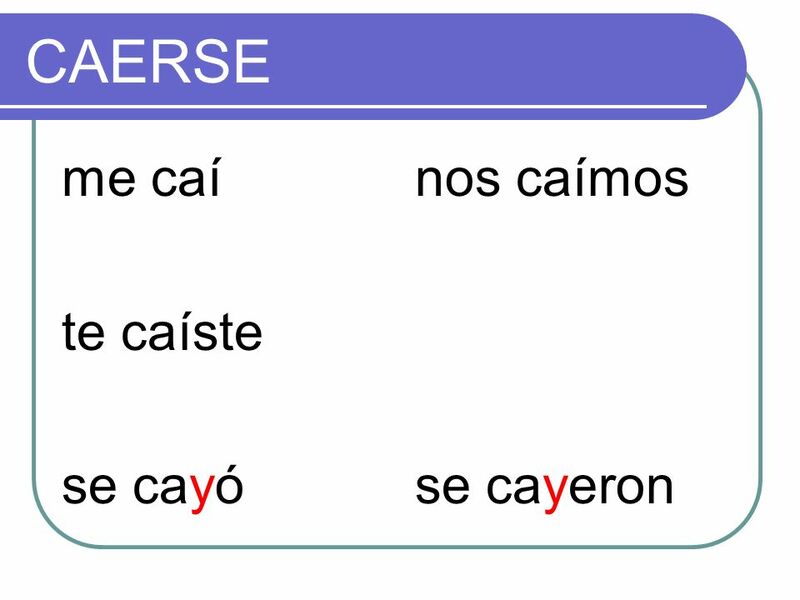 Other verbs such as leer, creer, oír, and caerse, follow a similar pattern except with the accent on the “I”. 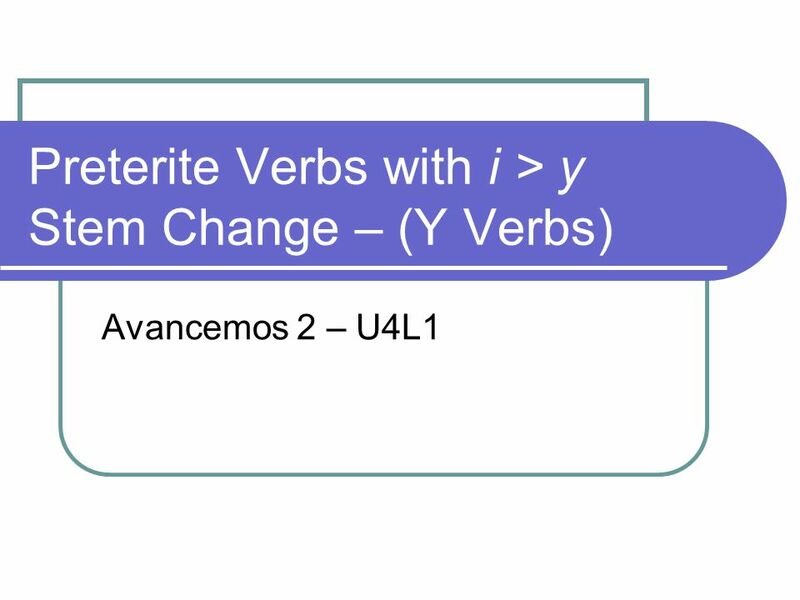 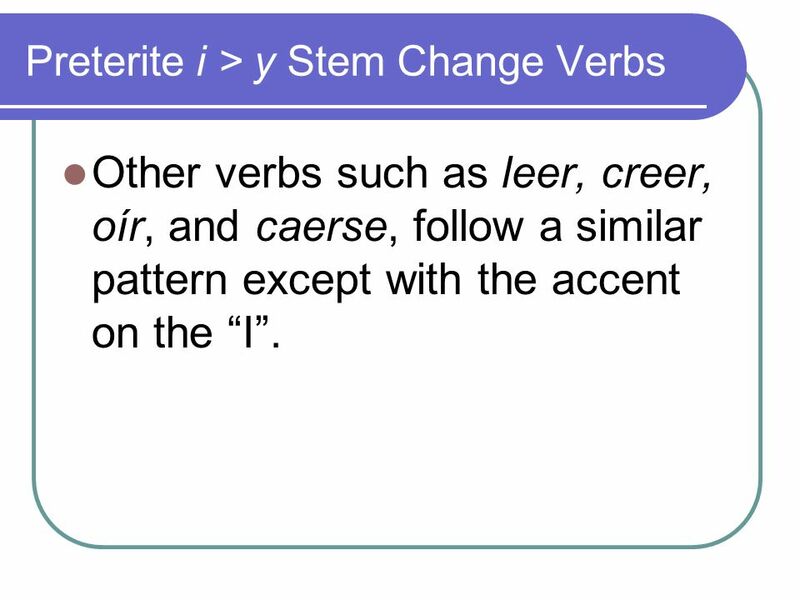 Descargar ppt "Preterite Verbs with i > y Stem Change – (Y Verbs)"